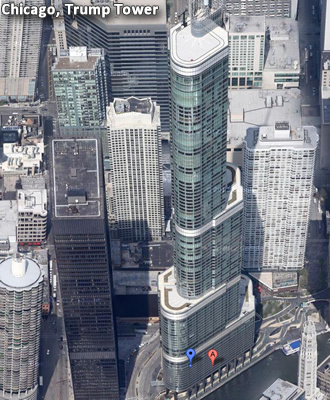 According to the Google's Lat-Long Blog, the company has added new high-resolution aerial photography to Google Maps. This follows similar news from Microsoft a couple of weeks ago who also updated their own Bing Maps service with 215TB of high-resolution imagery. Included in the Google Maps update are high-resolution images that were taken both at 45-degrees (often referred to as "bird's-eye view") and directly overhead. The new aerial photography covers numerous areas -- 72 countries and regions plus a total of 28 major cities -- 21 of which are in the U.S.
American cities with fresh bird's-eye imagery include Anderson, CA; Beech Island - New Ellenton, GA; Cape Girardeau, MO; Carthage, MO; Chicago, IL; Clarksville, TN; Columbus - Reynoldsburg, OH; Dayton, OH; Everett, WA; Galena, KS; Idaho Falls, ID; Joplin, MO; Lafayette (outskirts), LA; Lancaster, CA; Louisville, KY; Lowell, MA - Nashua, NH; Pittsburgh, PA; Pueblo (outskirts), CO; Redding, CA; Springfield, IL; Yuba City, CA. International cities sporting the same kind of up-close aerial photography now include Birmingham, UK; Catania, Italy; Denia, Spain; parts of London, United Kingdom; Meyrin - Vernier, Switzerland; Munich, Germany; Neuchatel and Switzerland. It's worth noting the new imagery of "parts of London" comes just in time for the 2012 Olympics and includes the Olympic Park and Village in Stratford, London. Bird's-eye views of the Olympic stadium do not appear to be available, however. Although Microsoft didn't reveal how many areas were covered in its similar update to Bing Maps, the company mentioned its own additions covered more than 230,000 sq/km of terrain, consisting upward of over 1.1 million files and totaling 215 TB of data. Numbers like may help put into perspective how massive of an undertaking services like Google Maps and Bing Maps truly are.